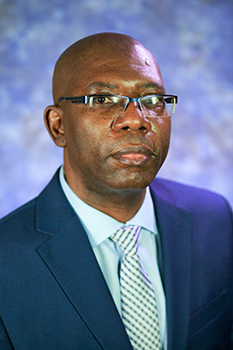 Professor Louis has broad research and teaching interests in Financial Accounting and Corporate Finance. His work is published in the top accounting, business, and finance journals. He has conducted research seminars at a host of major American universities and throughout the world. He received the 2005 Excellence in Accounting Research Award from the American Accounting Association Diversity Section. Louis has served on the editorial boards of the Accounting Review and the Contemporary Accounting Research, and as an ad hoc reviewer for all the major accounting and finance journals. He was an Organization of American States Graduate Fellow and a KPMG Doctoral Scholar. Louis holds a Ph.D. in Accounting from Ohio State University, a Ph.D. in Finance and a master’s in Accounting from the University of Mississippi, and undergraduate degrees in Theology and Business. Analysis of financial reports to identify business strategy, assess performance and economic standing, and value claims. An introduction to the methods and techniques of contemporary research in accounting. An accounting based evaluation and decision making approach to analyzing financial statements by studying business and firm valuation. Develop ability to assess the relation between accounting data in financial statements and the economic fundamentals represented. A project paper, comparable in quality and scope of work to a graduate thesis, on problems of a company. Theory and practice issues in income concepts and value measurement; GAAP; revenues, costs, assets, liabilities, and equities. Students may not receive credit for both ACCTG 150 and 471. Chen Y., Ge R., Louis H., Zolotoy L., "Stock Liquidity and Corporate Tax Avoidance." Review of Accounting Studies, 2019. Louis H., Pearson T., Robinson D., Robinson M., Sun A., "The effects of the extant clauses limiting auditor liability on audit fees and overall reporting quality." Journal of Empirical Legal Studies, 2019. Chung S., Louis H., "Earnings announcements and the cross-section of option returns." Journal of Empirical Finance, 2017. Chung S., Chiang C., Louis H., "Insider trading, stock return volatility, and the option market's pricing of the information content of insider trading." Journal of Banking and Finance, 2017. Louis H., Sun A., "Are Acquirers’ Pre-Merger Announcement Abnormal Accruals Opportunistic? An Analysis of Managerial Intent." Contemporary Accounting Research, 2015. Louis H., Urcan O., "Agency conflicts, dividend payout, and the direct benefits of conservatism to equity-holders." Contemporary Accounting Research, 2015. Louis H., "Are stock-for-stock acquirers of unlisted targets really less overvalued?." Financial Management, 2013. Louis H., Sun A., Urcan O., "Do Analysts Sacrifice Forecast Accuracy for Informativeness?." Management Science, 2013. Louis H., Sun X., Urcan O., "Value of Cash Holdings and Accounting Conservatism." Contemporary Accounting Research, 2013. Louis H., Sun A., "Growth in Housing Prices and Long-Term Abnormal Stock Returns." Real Estate Economics, 2013. Louis H., Sun A., "Earnings Management and the Post-Earnings Announcement Drift." Financial Management, vol. 40, 2011. Louis H., Kimbrough M., "Voluntary Disclosure to Influence Investor Reactions to Merger Announcements: An Examination of Conference Calls." The Accounting Review, vol. 86, 2011. Louis H., Sun A., White H., "Insider Trading After Repurchase Tender Offer Announcements: Timing Versus Informed Trading." Financial Management, vol. 39, 2010. Louis H., Sun A., "Investor Inattention and Market Reaction to Merger Announcements." Management Science, vol. 56, 2010. Louis H., Robinson D., "Managers' and Investors' Responses to Media Exposure of Board Ineffectiveness." Journal of Financial and Quantitative Analysis, vol. 44, 2009. Louis H., Robinson D., Sbaraglia A., "An integrated analysis of the association between accrual disclosure and the abnormal accrual anomaly." Review of Accounting Studies, vol. 13, no. 1, 2008, pp. 23-34. Gong G., Louis H., Sun X., "Earnings management and firm performance following open-market repurchase." Journal of Finance, vol. 63, no. 2, 2008, pp. 947-986. Gong G., Louis H., Sun X., "Earnings management, lawsuits, and stock-for-stock acquirers' market performance." Journal of Accounting and Economics, vol. 46, no. 1, 2008, pp. 62-77. Louis H., Fischer P., "Financial Reporting and Conflicting Managerial Incentives: The Case of Management Buyouts." Management Science, vol. 54, no. 10, 2008, pp. 1700-1714. Louis H., White H., "Do managers intentionally use repurchase tender offers to signal private information? Evidence from firm financial reporting behavior." Journal of Financial Economics, vol. 85, no. 1, 2007, pp. 205-233. Louis H., "Acquirers’ abnormal returns and the non-Big 4 auditor clientele effect." Journal of Accounting and Economics, 2005. Louis H., "Do managers credibly use accruals to signal private information? Evidence from the pricing of discretionary accruals around stock splits." Journal of Accounting and Economics, 2005. Louis H., "Earnings management and the market performance of acquiring firms." Journal of Financial Economics, 2004. Louis H., "The cost of using bank mergers as defensive mechanisms against takeover threats." Journal of Business, 2004. Louis H., "The value relevance of the foreign translation adjustment." The Accounting Review, 2003.